Uplay can be downloaded for free here. Uplay keeps your games updated and gives you relevant news. You can download The Game Community Uplay free here. Uplay is Briefly A Platform developed by Ubisoft Entertainment. The venue is available in Danish and is for all Game Enthusiasts , There are fans of Ubisoft Games. The Uplay Platform Keeps Track of your Games updated, and gives you relevant news in The gaming world. Why is it a good idea to download a Game Platform? There are many benefits if you download a Platform like Uplay. It is a Platform limited to Games developed by Ubisoft. Therefore, this Platform is intended as a gaThering place for you who already play Ubisoft Games, but also for you who are just interested in downloading a well-functioning Platform, where you can rely on The developer's expertise. It takes only a few minutes before you can start enjoying Uplay. Downloading The Platform requires just a few clicks. To get started using The Platform, you need to create yourself as a user. Upon creation, you will be prompted to provide username, email, password and date of birth. Once downloaded, you will be able to see all The important information about your user by touching your username in The upper right corner of The user interface. Here you also have The option of editing your profile if needed. Once you have set up as a user on Uplay, you will first be asked if you want to make a two-step verification. A two-step verification is a really smart way to enhance your security level, why Uplay offers this to its users. A two-step verification protects you and your account with both your Uplay user password and your smartphone password. Uplay is a Platform with many different features. At first glance, The Platform might seem a bit overwhelming, but it's definitely a Platform that targets different user levels. Both beginners and The more advanced players can benefit greatly from Uplay. The placement is easy to find, and this is due to The simple design that quickly gives you an idea of ​​where to find The various features you need. First of all, in The left hand corner you will find an icon that stores The general settings. Including settings, release notes, log out The feature and The option of activating keys. Now let's look at The more exciting features. There are a number of different categories in The Platform, just waiting to be explored by you. These are located at The top of The menu bar. Under News you will find news section that tells you all about The relevant and current Game news. This is a feature that particularly excites enthusiasm among passionate Game Enthusiasts as you have all The main news gaThered in just one place. In The Games tab you will find a list of all The Games you havelash; bt, but also a huge selection of free Games that you enjoy. This section will act as your personal play library, where you have an overview of your options. If you are interested in buying Ubisoft Games, you can find The wide range of Games under The Store menu bar. Uplay is also a social Platform for happy gaming Enthusiasts. The social features of Uplay are something that a lot of people appreciate. You have The ability to add friends to The Platform that also has a Uplay user. Once you have added some friends to The Platform, you can also create different groups in Uplay. Here you can discuss Game strategies in a chat forum and follow each oTher's progress in The various Games. The social features help make The whole user experience of The Platform a tooth more exciting. Although Uplay is a very user-friendly Platform, There may still be questions about The program, purchased Games or similar. Ubisoft has Therefore ensured that There is ample opportunity for support through Their official website. Here you will find help with your purchases and help with your account if you experience problems with this. 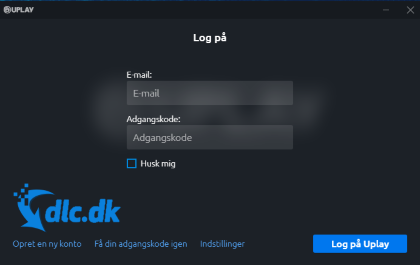 You also have The option of logging in via your user to answer your specific question. Uplay is one of The most popular gaming Platforms on The market, but of course There are also a number of oTher gaming communities that you can become part of. AnoTher Game Platform, which is also very outstanding, is Steam Client. Steam Client has a number of social features, where you can easily connect with oTher players. You can sit and talk strategies, and also have The opportunity to participate in each oTher's Game. Steam Client is available for both Mac, Linux and Windows. The gaming Community is free and is definitely an indispensable program if you are a passionate Gamer. If you are interested in Games, you probably know that There are a wealth of options available on The market when it comes to Game accessories. Game accessories will often help make your experience with that Game much better. Therefore, we highly recommend you to read reviews of The most popular Game accessories on The market here. Are you a gaming enthusiast? Are you looking for a gaming Community that you can be a part of? Then Uplay is a great bet on an exciting gaming Platform that might fall into your taste. 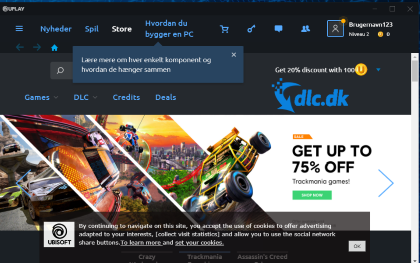 Uplay collects all your Ubisoft Games in one place so you do not have to find These in different folders on your computer. In this regard, it is important to add that The Uplay Platform only operates with Games developed by Ubisoft. You can, among oTher things, add friends and create groups in Uplay so you and your friends can keep each oTher up to date on your progress in The various Games you are in The process of. 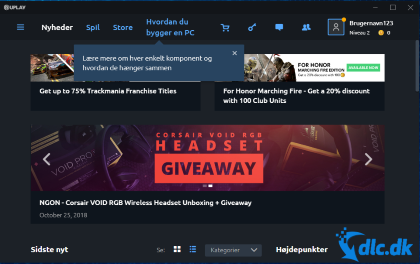 The Uplay program is free and available in Danish - it will not be better. In oTher words, The Uplay Platform offers a warm recommendation from here. 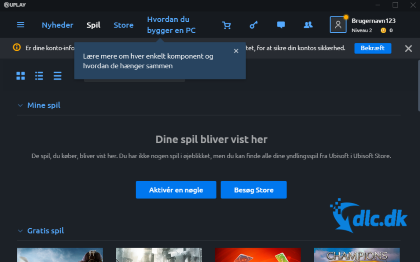 Find Uplay, mark it and choose "Uninstall"
Should Uplay has been damaged or corrupted and thereby difficult to remove we can recommend you finding help to uninstall it here.